Did you know September is National Sewing Month? I think I stored that information somewhere in the back of my mind until I started to look over my calendar. September. I think pretty colored leaves, cool weather, gray skies, jeans, my awesome knee-high boots, hoodies, and sweaters. In the Midwest, I have to wait probably another month until I can break out my jeans, hoodies, and fleece jacket and continue to endure the warm days, shaved legs, and shorts. Blah. I love cooler weather. Anyway, back to my point about National Sewing Month — this means I’ll probably post more DIY sewing projects in celebration and attempt to complete a ton of unfinished projects. 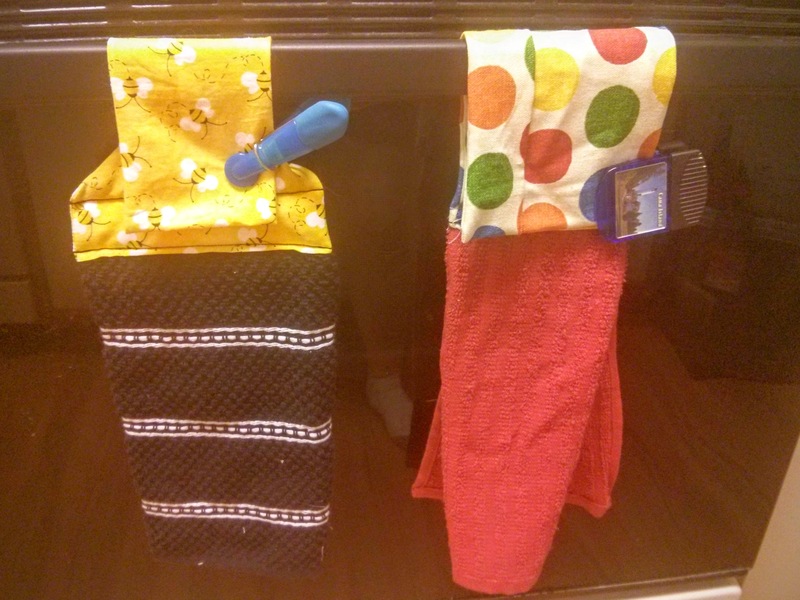 A few months ago, one of my friends tasked me with a project: cute hanging dish towels in the kitchen. I’ve never worked with dish towels and didn’t think the project looked that hard. After months of procrastination (sorry, Em! ), I whipped out a few cute hanging dish towels. Yay! 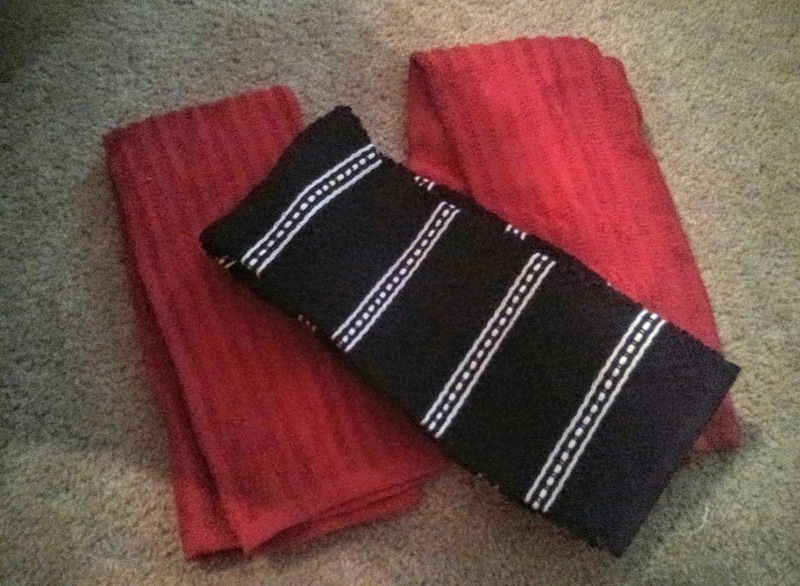 Black and red is the color scheme in Em’s kitchen, and I picked up two red towels and one black (I would’ve bought two black towels but the store only had one left). 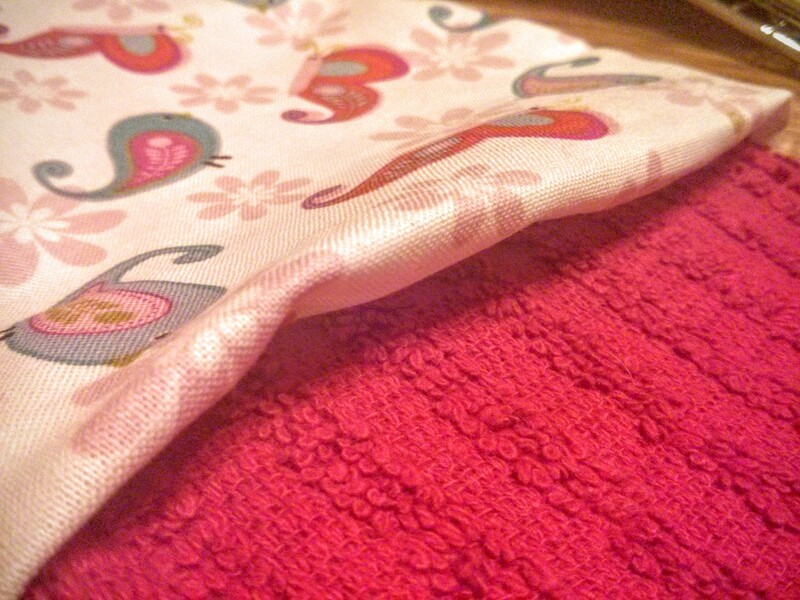 I rummaged through my stash of fabric and remnants and found matching material as the “hanging” part of the dish towel. Using a template (and also instructions) I found on the interweb, I cut the fabric into the desired shape and simply sewed it to the top of the dish towel. Of course, writing the instructions is much easier than actually assembling everything together. 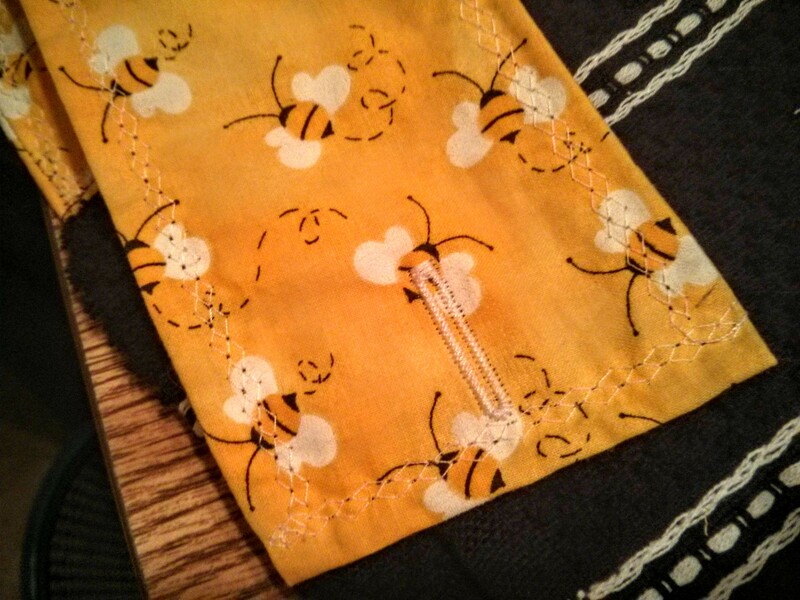 I pieced together the first black dish towel with cute bee fabric from my stash. 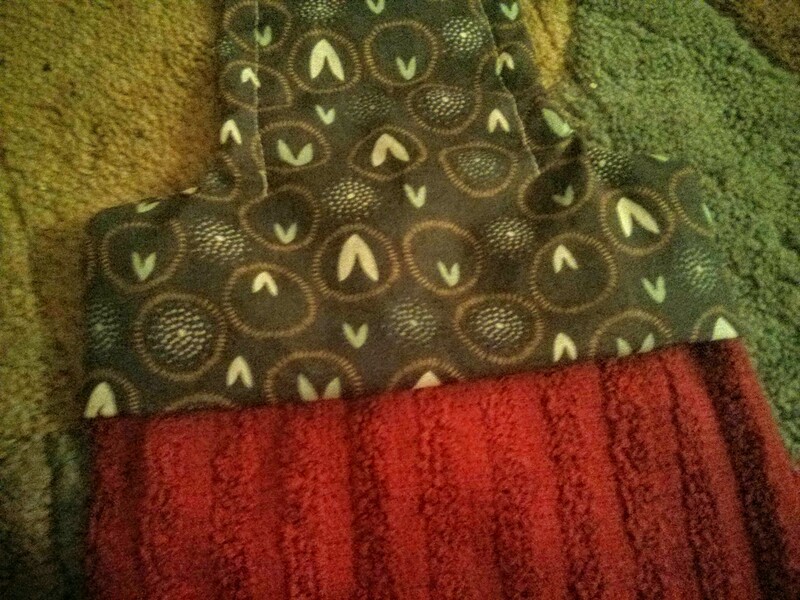 Per instructions from other bloggers, I cut the dish towel in half and now I have two black dish towels! 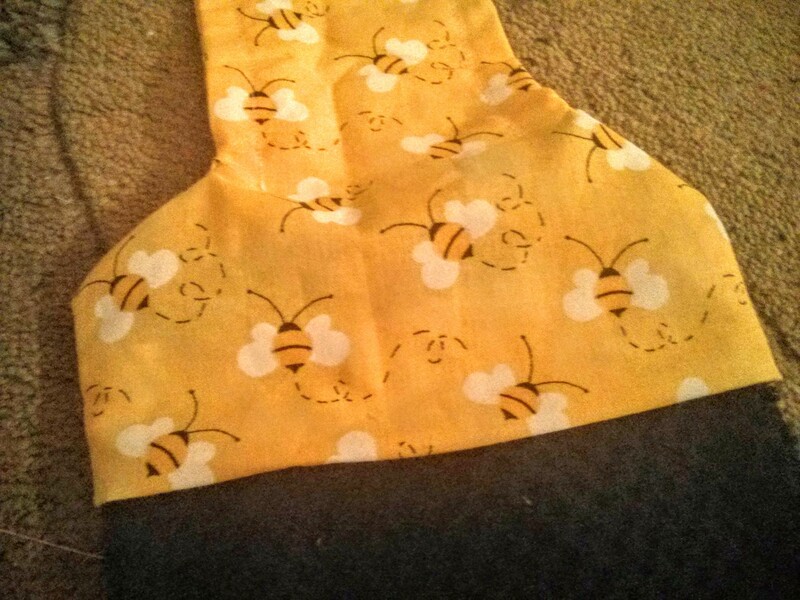 Using the template, I cut the bee fabric (four pieces total) and sewed two pieces together, leaving the bottom open and turning the piece right side out. Some bloggers used interface, and I didn’t feel like digging through my sewing boxes. Anyway, I folded the raw edges of the hanging piece inside and carefully inserted one side (the one with the raw edges) of the hand towel. After pinning the hanging piece and the towel together, I sewed them together and created a cute little border around the top part. Button or snap? That was the question. I dreaded the idea of sewing a button or snap on by hand. With that dreaded thought in my mind, I decided I needed to learn how to sew buttons with my sewing machine. My beautiful girl has the capability to do, I just don’t know how to do it. Thanks to repeated viewings of a YouTube video, I finally learned how to sew buttons and create button holes with my sewing machine! Woot! Woot! An entire post about that learning process will be published later in the month, but for now, I’m very happy! I like the design of the original hanging piece the best, but the corners gave me some issues and prompted me to try more simple shapes. I don’t mind the more simple designs, but I just like the first hanging piece better. Practice makes perfect, right? After sewing all the toppers to the towels, I rummaged through my button box for cute matching buttons and took my sweet time learning how to add buttons with my sewing machine. 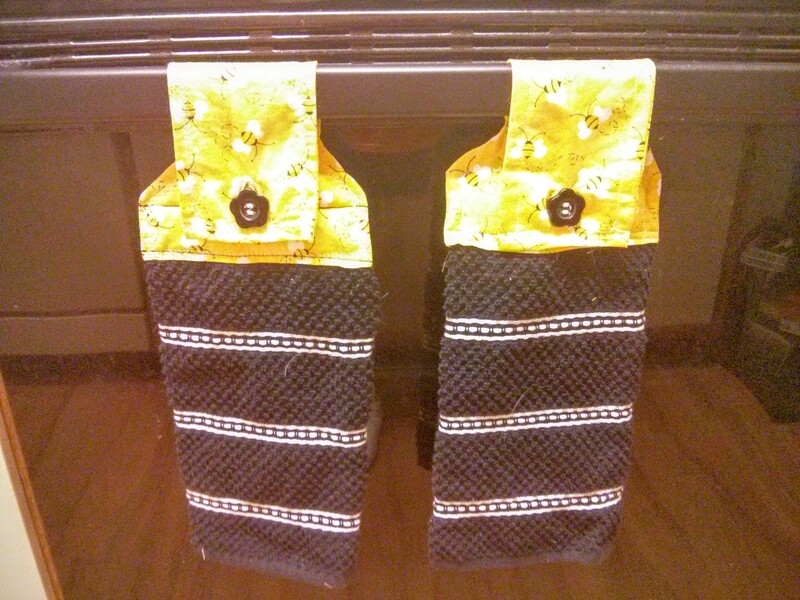 Em fell in love with the black hand towels with the bee fabric, and I’m happy the project is finally finished. I have a few extra hand towels that I’ll probably give to my dad or sister since they’re always in need of hand towels (my sister has a dog who actively seeks hand towels to chew on). And I’m thinking about making a few more as a housewarming gift for a few friends, and maybe if I’m ambitious, holiday or seasonal hand towels for friends and family. Hmmmmmmm. The hanging towels are so cute. Great job. I love the bee towels! so cute. The hanging towel are adorable! Nice tutorial!